KANSAS CITY, Mo. 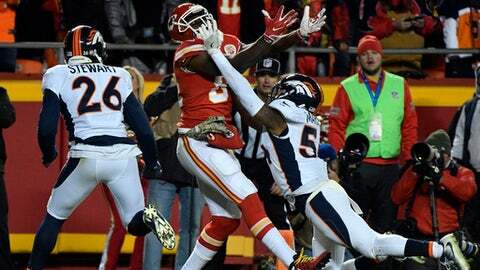 (AP) Denver’s defense could be forgiven for harboring animosity toward its offense these days. That was just the start of it, too. Trevor Siemian tossed three interceptions, completing 19 of 36 passes for 198 yards and a late, almost meaningless score. At one point he had completed more passes to the Chiefs than his own players, and he was sacked three times to add injury – or at least some aches and pains – to insult. ”I’m going to watch the film tonight and tomorrow,” Joseph said.